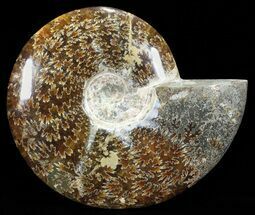 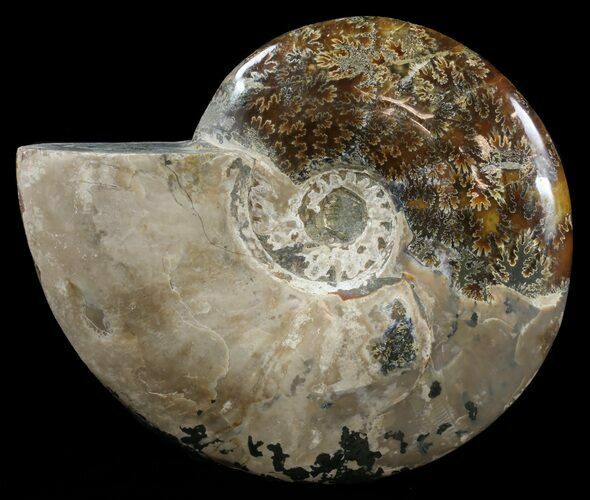 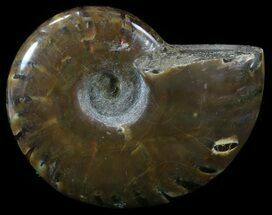 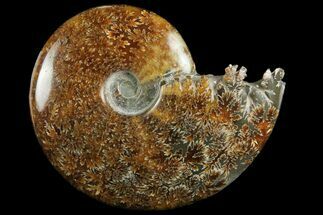 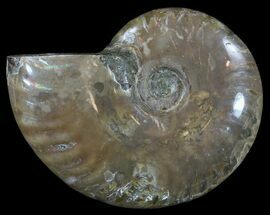 This is a beautiful, 8.7" wide, polished ammonite fossil from the Mahajanga Province of Madagascar. 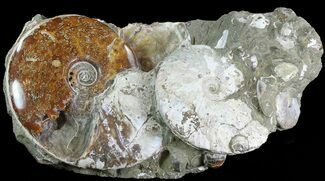 It's Early Cretaceous (Albian Stage) in age, or approximately 110 million years old and of the genus Cleoniceras. 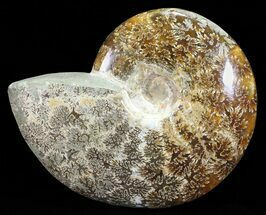 The fossil itself was replaced by agate and has been polished to reveal the beautiful, "oak leaf" shaped suture pattern of the animal.